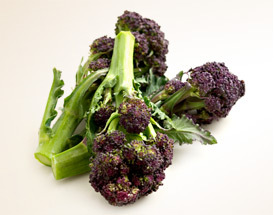 DGM Growers is a grower of our own purple sprouting broccoli in fields around our Holbeach site. We also work with other farmers in Lincolnshire and beyond with the aspiration of bringing a 12 month supply of this lovely vegetable to market. Weather and pest attack on the crops can affect availability – a harsh winter can devastate large areas of PSB, so bear with us at times when the market might be short.